patricmcfadde-4 has no other items for sale. Shipped very fast no Bluetooth required. 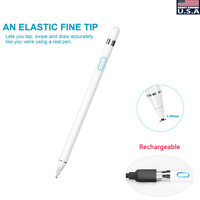 I like the item, however with an active stylus I exepcted it to not be able to read my palm on the computer screen when writing. This does not. Works great, very accurate and responsive. Only difference between my $36.00 stylus and this one is my $36.00 doesn't make a clicking glass sound, but doesn't have a second hybrid non-active tip on the Blackweb! Can't beat the price!!! Worked good on Apple iPad however it did not work on Insignia Flex. It was suppose to work on insignia by the description. 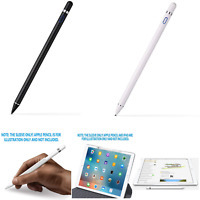 Stylus looks very nice and is a great value.